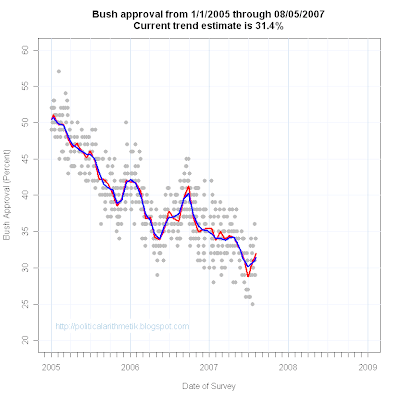 A new Gallup/USAToday poll taken 8/3-5/07 finds approval of President Bush at 34%, disapproval at 62%. 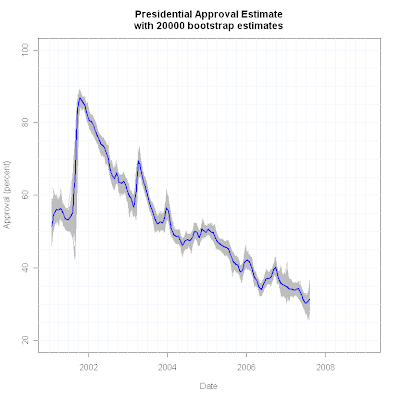 This is in line with recent improvement in the President's approval rating across a number of polls. The current trend estimate now stands at 31.4%. 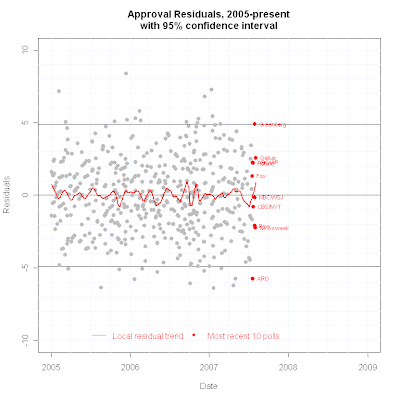 For a full discussion of the current upturn in approval see here, here, here and here. 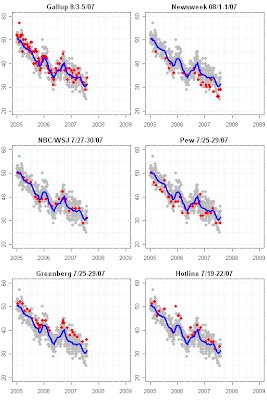 The more sensitive red line estimator and my standard more reliable blue line estimator are in good agreement now about when the low point of approval occurred, though not yet agreed on how low the low point of approval was. 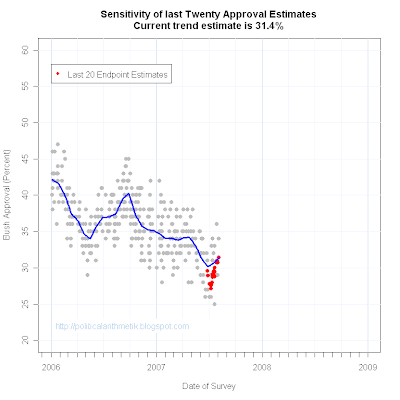 The current estimates of approval are reasonably close, as is the agreement on the current upward trend.